PICTURE HELLLPPPP! Galaxy Tab 2 7in. How Do I Sync My GMail and Windows Live Mail 2011 Calendars with Tab 2 7.0? Moved: How to Get the Tab 2 7.0 Browser to Close All Tabs and Then Open Just My Home Page? 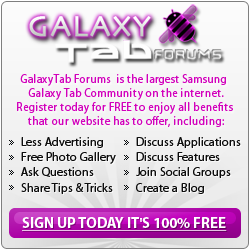 Problems with the Galaxy Tab2? Moved: How Do I Delete "Words with Friends" App from My Galaxy Tab 10.1?